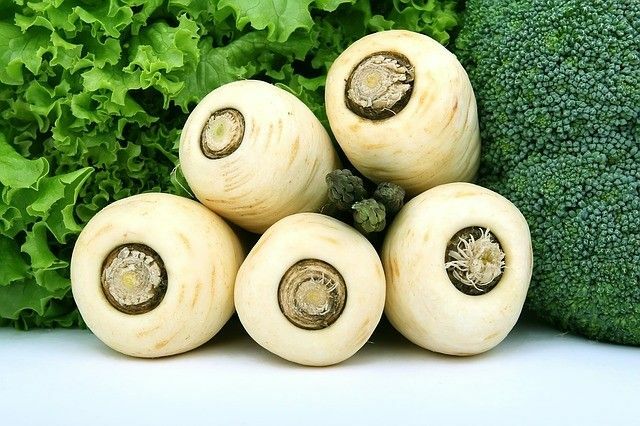 The British colonists were the first to introduce parsnips in North America in the early 17th century. But this root vegetable, resembling a fat white carrot, is still unloved in this continent, despite its numerous qualities: its whitish and fruity flesh has a very sweet hazelnut taste, especially when the first autumn frost converts its starch into sugar. It is an excellent source of potassium and folic acid and it is an inexpensive vegetable. As its flesh rapidly turns black when in contact with air, it should be soaked in a bowl of lemon water if it is not going to be used immediately after cutting it. Turnips can be prepared in myriad ways; this week I propose it to you in a gratin. Originally published in the Journal de Montréal on October 14, 2006.